Get the help you need at our women's ministry in Baltimore, Maryland. At GCWM, we believe in helping all women who are in need. We offer a wide range of services dedicated to this task, including counseling, educational workshops, seminars, and outreach services. We are in the process of opening our new child care and community center, The New City of Hope, in West Baltimore City, which will provide a safe place for children and employment opportunities to the area. Call to learn more about our women's ministry or to schedule an appointment today. We welcome your prayers and financial support, which help us help women in need. 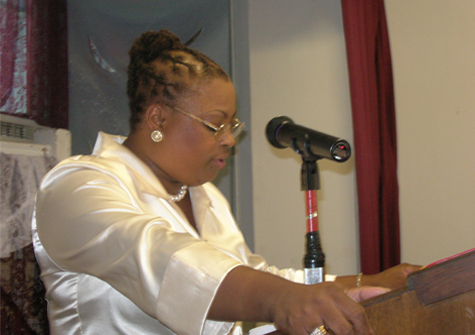 We are a Christian organization founded in November of 1999 by Dr. Denise L. Folks. Our purpose is to provide women of all ages, ethnicities, abilities, sexual orientation, religion, and races with a safe and nurturing environment in which they can be encouraged and edified through the word of God and gain necessary life skills through workshops, seminars, retreats, and counseling.